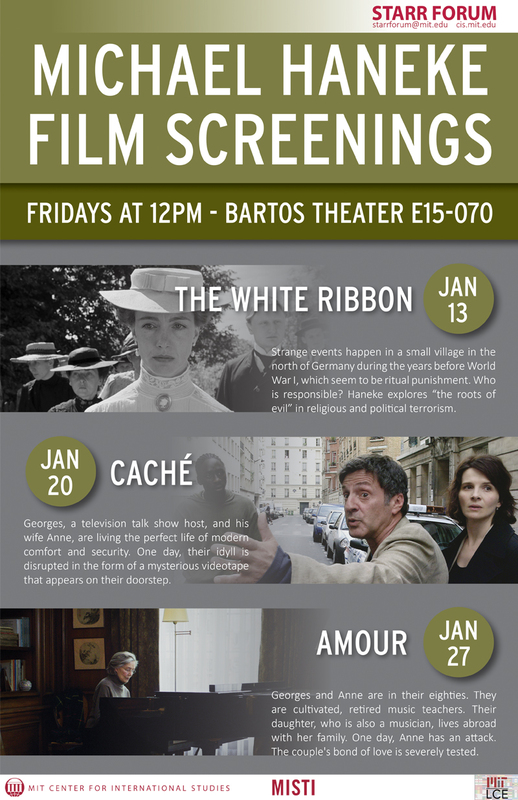 The White Ribbon is a 2009 black-and-white German-language drama film written and directed by Michael Haneke. It darkly depicts society and family in a northern German village just before World War I and, according to Haneke, "is about the roots of evil. Whether it’s religious or political terrorism, it’s the same thing." The film premiered at the 62nd Cannes Film Festival in May 2009 where it won the Palme d'Or, followed by positive reviews and several other major awards, including the 2010 Golden Globe Award for Best Foreign Language Film. The film also received two nominations at the 82nd Academy Awards in 2009: Best Foreign Language Film (representing Germany) and Best Cinematography (Christian Berger).